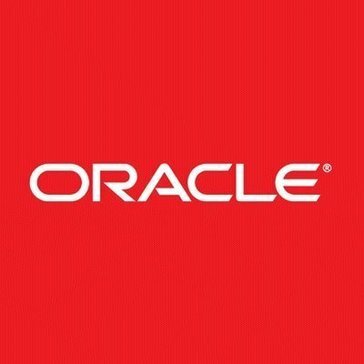 Work for Oracle Higher Education Cloud? Learning about Oracle Higher Education Cloud? I like the ease of running financial reports in real time. If i were a more bars and graphs type of person, this would look too robotic. User friendly navigating and reports. May seem a bit confusing until you try it hands on. The expense reports are self-explanatory. I do not populate the background items to select from, but on my end I can easily assign my budget items or travel expense items to the correct budget line with very minimal error. We run trial and ledger balances frequently. Having multiple levels of security helps with efficiency since I don't have to wait on one person for a simple answer. I love usnig Oracle to shop in the Marketplace now. It cuts our supply ordering process down to one day! It allows the shopper to pick items and assign a cart to another person to approve. Quick budget check and the vendor gets the order and some can get prepared and shipped the same day! We've gotten supply orders the next day on many occasions. "Limited user interface but potential"
I was able to figure out ways to use keyboard shortcuts for some windows/fields. This made data entry significantly faster. It was limited in a lot of its functions. It did not have capabilities to create schedules; its report functions were often spotty, timed out, or otherwise unreliable. Start up would often take a significant amount of time. Be crystal clear about all functionality you want/need. Check that against the functions that Oracle can offer before committing and getting stuck with a platform that isn't all-inclusive of your needs. We used this as a student management platform. "There has to be something better...maybe"
Logging into Oracle is very easy, and once logged in, you can find what you need. It is not very intuitive for navigation. I would recommend solid training. It is not hard, just not intuitive. I am able to easily access student transcripts once they are uploaded into the system. This is an easy to use program, easy to search what I am looking for all the time! That there are several different places to look for what I am looking for. With it's easy to use tabs, I am able to assist other colleagues with paperwork and messages they are looking for. It stores EVERYTHING! The organization of the product is simple and easy. The product takes a long time to load on certain devices. Great for payroll, but I am not sure of its other uses. Timesheet are the biggest use I have had for Oracle. It does timesheets in an efficient manner. I like the seamless function of the internally supported page we use which uses Oracle in the background, relative to our enterprise purchasing. There isn't much to dislike since it's use is fairly basic. Cloud is the future. Adapt. We are creating seamless process for enterprise purchasing. Navigation can be tricky. I feel like there has to be a better way to set up the platform. It helps with enrollment and improves interactions with students and their organization. The product is easy to use and provide real time information when needed and quickly. I do have any dislikes at this time. This product is easy to learn. Great tool with analytical capabilities. Oracle is helping me streamline current and new processes. It is easy to use, reliable. I had a good experience with it. Do the free trial before buying to make sure its right for you! How efficient this product is. It is pretty user friendly. Try it and see if it meets your needs. Very sophisticated software tailored to needs of each institution. price range, it is a little expensive especially for small/medium size organizations. Students information managing software from lead to graduation. Very user friendly. Able to navigate without problems. The slow start up at the beginning but it begins to cycle out. * We monitor all Oracle Higher Education Cloud reviews to prevent fraudulent reviews and keep review quality high. We do not post reviews by company employees or direct competitors. Validated reviews require the user to submit a screenshot of the product containing their user ID, in order to verify a user is an actual user of the product. Hi there! Are you looking to implement a solution like Oracle Higher Education Cloud?